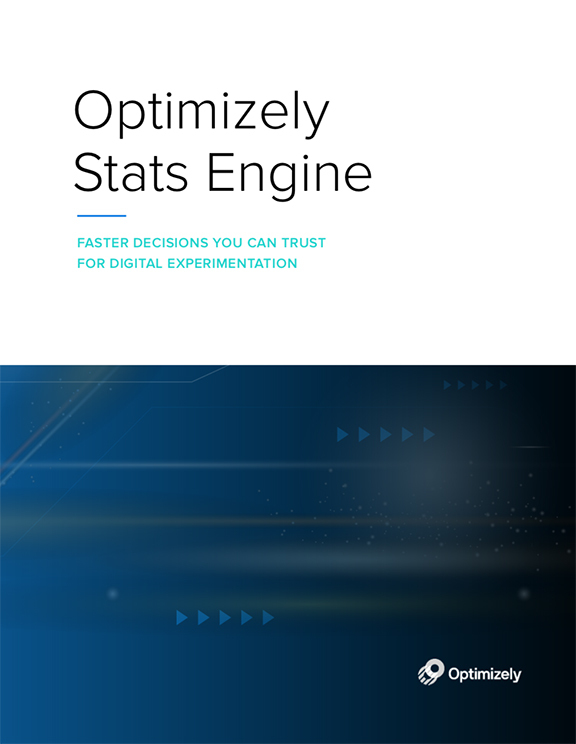 At the core of Optimizely’s experimentation platform is our Stats Engine. Stats Engine is a unique approach that was developed in conjunction with leaders in statistical research at Stanford University. Stats Engine embeds several innovations to deliver what every digital experience optimization effort needs—accelerated speed and greater scale of experimentation while also improving the accuracy of results and outcomes.